Cheapestprintonline.co.uk has been supplying Brochure printing for over 30 years so you can rest assured you are buying from an established printing company in Leicestershire. 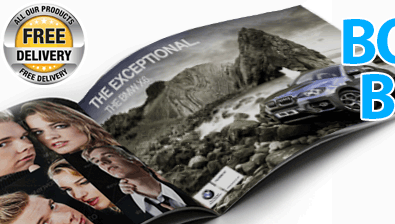 We specialise in all types of full colour brochures including cheap booklets and quality brochures. We offer the best in service for online printed brochures, but we don’t just offer online brochure printing.If you need cheap booklets in 24 hours or cheap brochures nextday then we can help you. We not only offer booklet printing online, we offer next day printing on all our products including flyers, leaflets, letterheads, pvc banners, roller banners plus much more. So if you need same day or nextday booklets then you have come to the right online booklet printing company. Printing booklets fast is not a worry for us at all, most of our customers require quick booklets and brochures so we are used to printing fast so we can deliver booklets as quick as24hrs – no problem! Why choose booklets or brochures to promote your business/ service? All our full colour booklet printing is carried out in-house using state of the art printing presses at our Leicestershire based factory - ensuring we have total control of your full colour booklet printing at all times. Offering cheap print online does not mean we compromise on quality print - far from it, we only offer high quality print which is why we have been the UK's leading booklet and brochure printing specialists for the last 30 years. Whether you are ordering 8 page booklets or 40 page brochures, you will find our customer service exceptional, friendly and courteous at all times - after all, our team is here to help you, the customer! 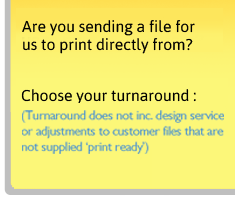 For cheap booklets and cheap brochure printing you can use our standard 5 day turnaround which means we will despatch your booklet order in 5 working days. This service is ideal if you are not in a rush for your cheap booklets and just want the cheapest brochures online. We also offer 24 hour booklets, if you order before 2pm we will despatch your booklets 24 hours later so you receive your 24 hour brochures the following working day after.